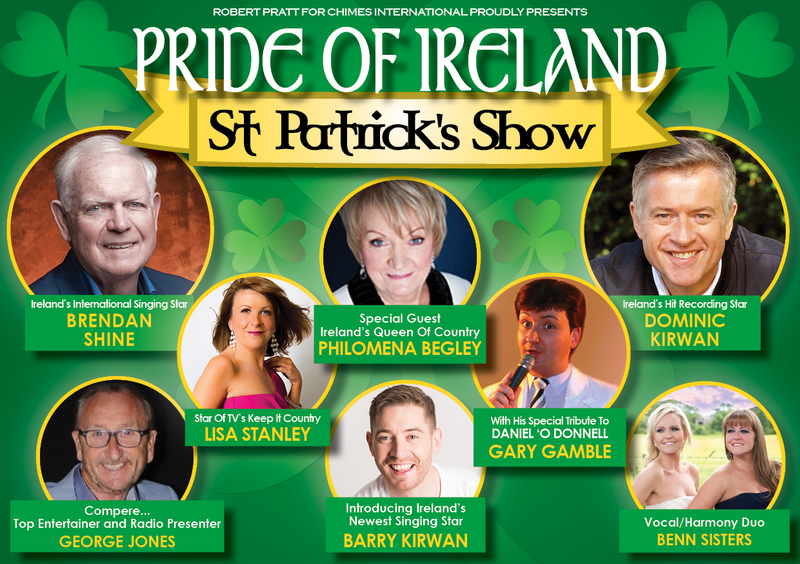 Come along to this fabulous night of Irish music, fun and laughter, jam packed with the very best of Irish entertainment and starring Ireland’s most dynamic and versatile performers. The stunning cast includes Hit Recording Star DOMINIC KIRWAN and the Internationally renowned BRENDAN SHINE. 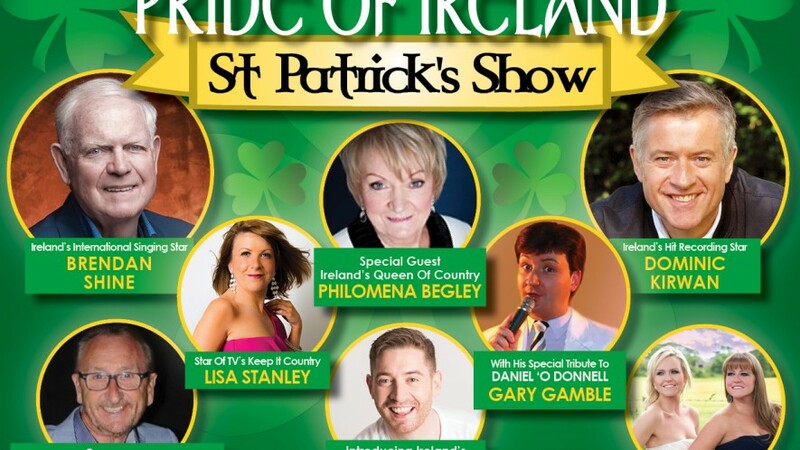 They will be joined by very special guest, PHILOMENA BEGLEY, IRELAND’S very own QUEEN OF COUNTRY. The wonderfully talented Star of TV’s ‘Keep it Country’, LISA STANLEY and Ireland’s Newest Young Singing Star BARRY KIRWAN will add their tremendous vocals to this superb show. GARY GAMBLE’S Tribute to Daniel O’ Donnell and the beautiful vocal harmonies of the BENN SISTERS will round off this fantastic show which will be hosted by Top Entertainer and Radio presenter GEORGE JONES. CELEBRATE ST PATRICK’S NIGHT IN TRUE IRISH STYLE!! THIS AMAZING SHOW IS TRULY THE PRIDE OF IRELAND’S TALENT AND WILL GIVE YOU A NIGHT TO REMEMBER!! Yes it was a brilliant show.We really enjoyed it. Excellent great value for money.